Today, President Obama spoke to the nation about Ebola — how the Administration is responding, and what you should know. The Ebola virus is a public health and national security priority, and the President has directed the Administration to continue to take aggressive measures at every level of government. President Obama reiterated that, while Ebola is a serious disease, Americans need to understand the facts and be guided by the science: Ebola is not easily transmitted. And we know how to fight it. 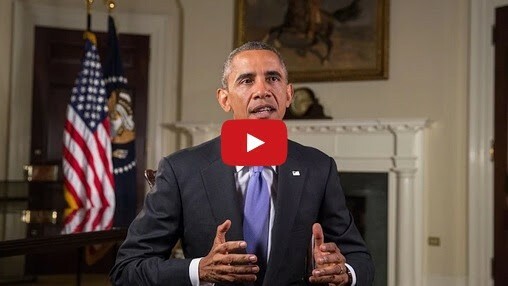 Watch President Obama, then find out what you need to know about the Ebola virus, and how the Administration is responding. Questo contenuto è stato inserito il Ottobre 19, 2014 ore 4:10 pm nelle categorie Scenari internazionali. puoi seguire i commenti tramite RSS 2.0 feed.